Tara Rider on R. Lawrence Swanson and Malcolm J. 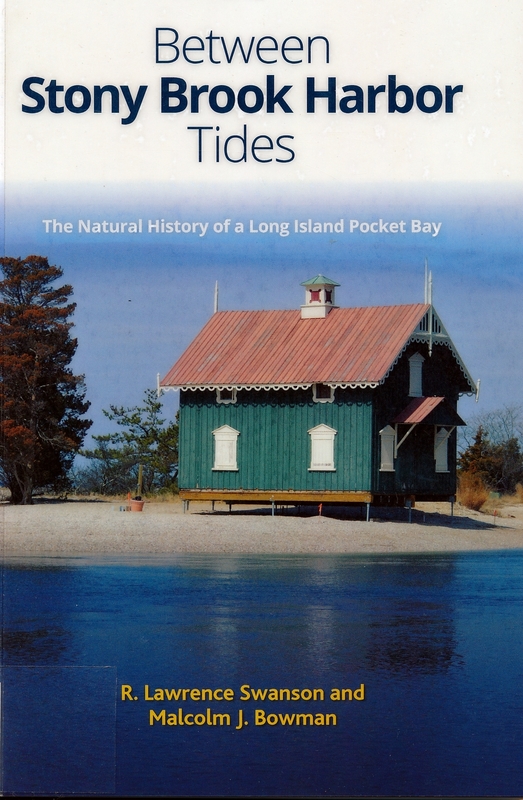 Bowman, Between Stony Brook Harbor Tides: The Natural History of a Long Island Pocket Bay (Albany, New York: State University of New York Press, 2016). Between Stony Brook Harbor Tides, by R. Lawrence Swanson and Malcolm J. Bowman, investigates the historical and ecological significance this harbor and its wetlands have long held for the surrounding community. While providing an intimate look at the area around Stony Brook Harbor, this book considers the multiple environmental and human factors that have impacted (and still impact) our wetlands and waterways. Using a broad range of sources, this comprehensive study helps the reader comprehend how understanding this historical context can inform future planning, allowing for the continued use and appreciation of a natural ecosystem that has taken thousands of years to develop. 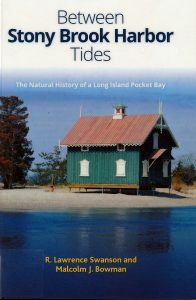 Not only have the authors lived around Stony Brook Harbor and raised their families there, they have devoted their careers to the study of its natural environment. R. Lawrence Swanson is the interim Dean of Stony Brook University’s School of Marine and Atmospheric Sciences and Malcolm J. Bowman is Professor of Oceanography and Distinguished Service Professor in the same school. Their ability to blend science with their personal experiences allows the reader to have a clearer understanding of the impact that we as humans have on the environment, both as individuals and as a society. The environmental knowledge provided by works, such as this, also illuminates Long Island’s continuing ecological potential. Striking a balance between scientific evidence regarding the growth and sediments of the harbor and historical evidence about its cultural and social uses, Chapter 1-“Shaping the Harbor,” explores the formation of the area. Long Island and its various harbors are shown to be ever changing ecological systems, which are “…a gift from ocean’s waves or from Neptune’s hands” (Ebeneezer Emmons). Chapter 2–“Physical Oceanography” details the changes that have occurred to the harbor over the years. Filled with technical details including tables and charts, this chapter reviews some of the environmental concerns that have been expressed about Stony Brook Harbor over the years, such as the shoaling of the harbor and issues related to temperature and salinity. Through surveying and modeling, the authors explore what the future might be for Stony Brook Harbor’s waters. A strong argument is made for protecting the surrounding wetlands as a means of protecting the local area from storm surges. Highlighting some of the living marine resources, Chapter 3–“The Living Harbor” surveys the “splendor of the harbor” and its diversity in marine plants and animals. In this small selection of the organisms associated with Stony Brook Harbor, the reader will recognize the many benefits that the marine ecosystem has provided to the local community over the centuries. While humans are often seen as the desecrators of ecosystems, this work also stresses how Long Islanders are now attempting to protect and restore the harbor’s ecosystem, such as with seeding programs for clams and oysters. Chapter 4–“Human Impacts on the Harbor” examines the often-devastating impacts that people have had on this marine environment. Looking at sources of pollutants, ranging from sewage to marinas, leads to a discussion of their negative effects. Chapter 5–“Scars upon the Landscape”– considers how humans have fashioned the landscape to their needs and the resulting ecological changes that have occurred. The remaining two chapters–“Governance” and “The Harbor’s Future”–reveal how the harbor was claimed by Europeans and their descendants as well as how it was controlled and managed. The book concludes with a compelling forecast of what the future could be and should be. This thorough examination of Stony Brook Harbor, while of significant local interest, also provides a valuable resource to better plan for the futures of all our waterways and wetlands. Combining history and the latest scientific evidence in very readable format, R. Lawrence Swanson and Malcolm J. Bowman have written a book that offers readers a better understanding of the natural environment and its interconnectedness with society.